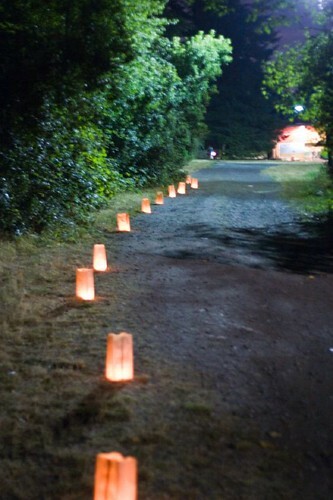 After my first experience with an Outstanding in the Field (OITF) dinner I was left with a little nagging feeling. I wasn’t entirely sure why but I thought it was probably because I had hoped that the experience and information from the farmers and other producers would be a little bit richer. 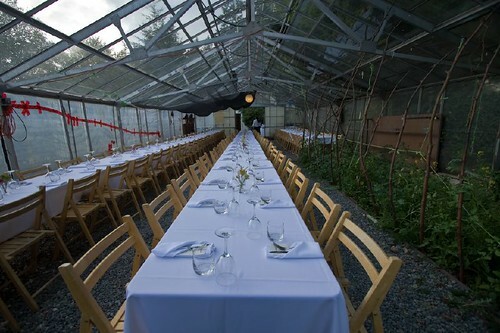 While writing that first post I noticed that the dinner in Vancouver, BC at the UBC farm had not sold out. And I knew that this was the 4th year a dinner would be held at UBC, leading me to believe the experience there might be well-organized and more comprehensive than my first experience. 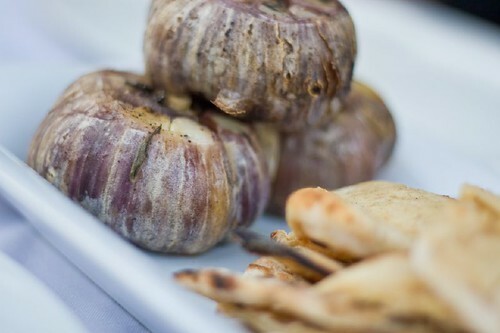 Before I knew it I found myself reserving a spot at that dinner, canceling my other plans for the evening and planning a one-day, less-than-24 hour getaway to Vancouver – technically not even long enough to bring goods back over the border! Friday morning as I crossed the border rain showers were drifting in and out. I first made a stop in White Rock and spent the morning there enjoying walking on the beach, watching the activity as the residents prepared for a weekend festival and eventually grabbing lunch. As I made my way into Vancouver proper and Queen Elizabeth Park, where I’d planned to take some photos, the rain came down in earnest and instead of shooting the Vancouver skyline from the park I took a nap in my car. But after that downpour the weather seemed to take a turn for the better. The skies remained gray but were dry. I took a meandering route along English Bay and Burrard Inlet, stopping at beaches along the way, and arrived at the UBC Farm at the appointed start time of 6:00 pm. The farm sits just southwest of the main campus and is comprised of 60 acres about half of which are wooded and the other half cleared and used for crop production. The farm serves a variety of purposes (as explained by Mark Bomford, the farm manager who led my part of the farm tour later in the evening) and is used for more than just the agricultural program, for instance it also supports botany classes. 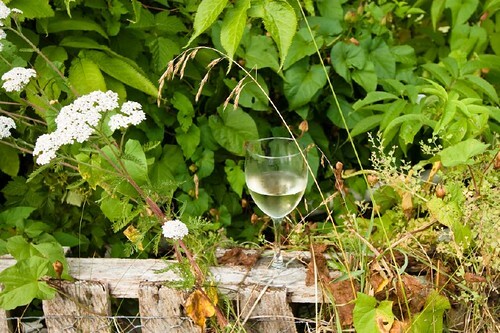 After parking I walked down a path and across a field to the welcome table to grab a glass of wine. 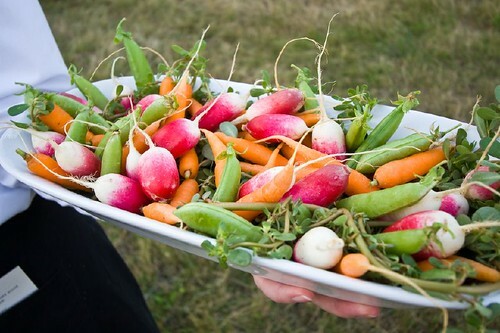 While sipping wine big platters of fresh radishes, carrots and peas were available for nibbling. I spent some time roaming around the nearby grounds checking out various crops, some greenhouses, beehives and the free-range chickens. At some point I met a woman who’s area of speciality was anthropology and her studies and teachings revolved around food. She’d spent three years teaching in Italy and was very into the slow-food movement. She was at the dinner having been invited by two former students who now work for OITF. I really enjoyed talking with her. Soon after the field tours began. 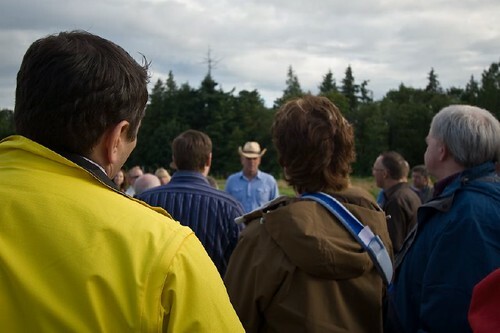 First Jim Denevan, OITF founder, addressed the group and then we were split into four groups for the tour. As mentioned earlier my group was lead by Mark Bomford who had a great depth of knowledge about the farm and issues facing the agricultural community. One little note – he said they have not experienced Colony Collapse Disorder which has been affecting so many beekeepers and their hives. I was really happy to hear this as I have a special fondness for bees and lately it seems all we hear is bad news. 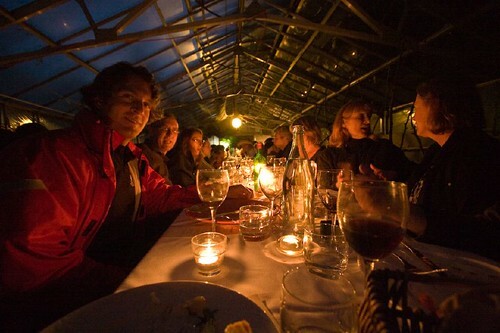 After the tour we moved to the dinner table which had been set up in a greenhouse. Although we stayed dry all evening, the weather of the day had made it necessary to be prepared for rain. I liked the coziness of the greenhouse. I ended up at the end of one of the tables sitting with a really fun couple and their son. They were in town from Alberta for a wedding and the dinner. Next to them were a group of four friends who were also very nice and who shared some special wine they’d won in a raffle. So for my dining experience I enjoyed very pleasant company. 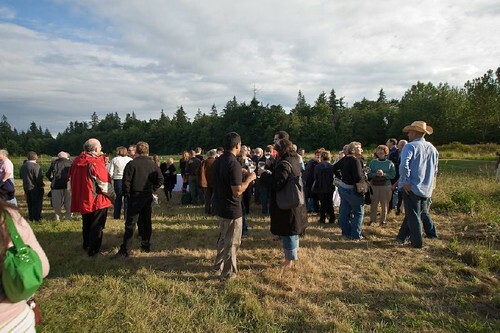 The food from this event surpassed the food from the Seattle event – and that is saying something. Our chef for the night was Andrea Carlson of Bishops. Bishops has been on "my list" for quite some time and after this experience I will need to make a better effort to get there the next time I’m in Vancouver. 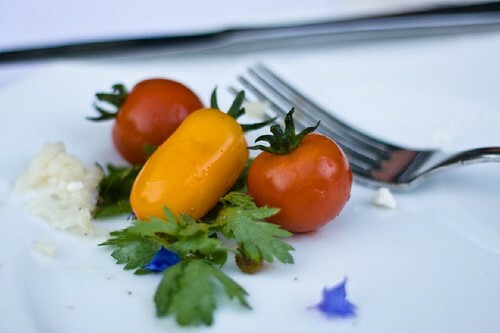 The next course was a big platter of rainbow-hued cherry tomatoes with herbs and greens. But my favorite part of this dish were the pickled little daisy buds! These were the daisies found in lawns in parks and homes. A simple, everyday, ordinary type of plant that I would never have thought to put in a salad. Next up was my favorite dish of the night. I think. Really it would be hard to choose. This course was billed as a "potato salad" but it was such a wonderful combination of ingredients and such a great presentation that I hope to copy it soon! Big platters of roasted baby potatoes were topped with green beans, lettuces, crispy thin-sliced pancetta and beautiful little eggs. The eggs were perfectly soft-boiled and once on your plate, breaking them open released the deep golden-yellow yolk to mix and mingle with the other ingredients. Heaven! 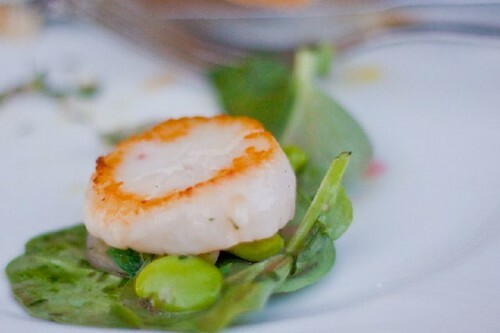 Next course was a slightly salty and sweet sea scallop with fresh fava beans. So simple. The essence of the sea on a platter. 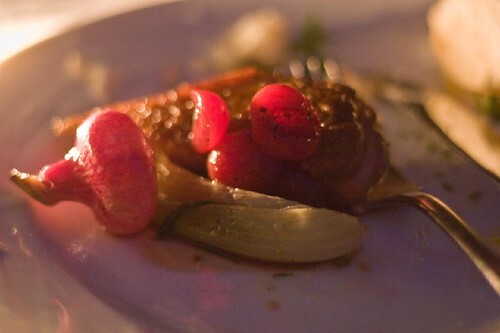 The next course was crispy seared duck breast with pickled cherries (the cherries were great! ), cippolini and (I believe) baby fennel. The combination of rich, tart and savory was lovely. I don’t think I could ever have enough duck. And for the finale we were served goat cheese panna cotta and meringue spirals. I loved the tart and tanginess the goat cheese brought to the panna cotta! 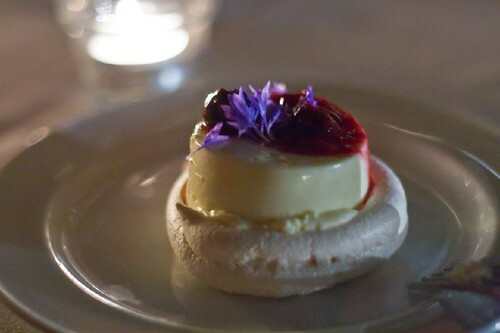 And the combination of the smooth cream with the crispy, sweet meringue was perfect. I am really glad that I made the trip to Vancouver for this dinner. Not because I didn’t like the Seattle dinner, because I really did. But because it was another great and completely different experience. Much of that was due to the location and the knowledge of the UBC staff and the other producers (several of them spoke throughout dinner and really enriched the meal), but there were many other influences. Some of it came from the weather, the later start, being on a Friday versus Sunday, and the different seating configuration, some from my interactions with my tablemates and the fact that I was on my own. 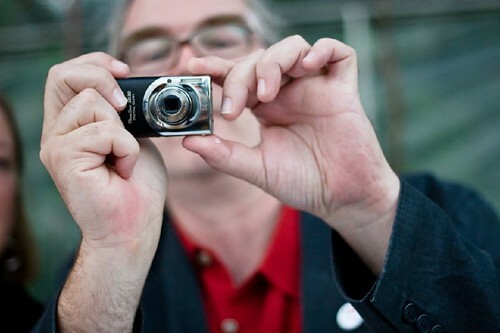 Some of it was because I spoke with Jim Denevan at length about a number of topics, which was a lot of fun. He is very nice. As I mentioned in the first post each of these dinners is different even if they follow the same general outline. And much of the experience is what you bring to the table. 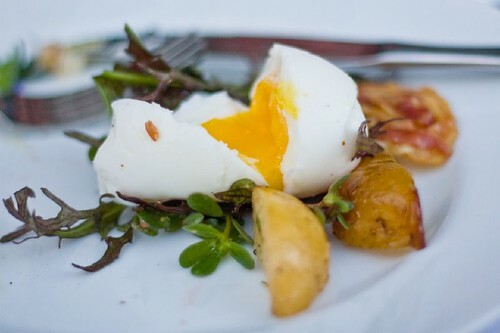 There are a few dinners with spots available which you can find on the OITF events page. You can also add yourself to the mailing list on that page or, I believe, any page on their site. 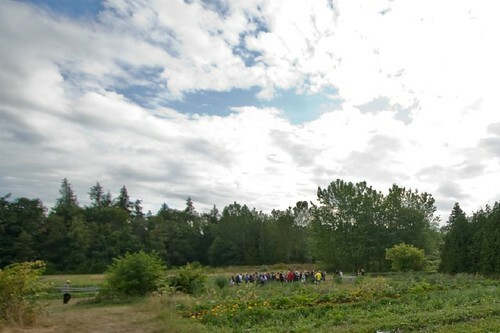 To learn more about the UBC Farm and to support them – they are in danger of losing funding, which would be a big loss for all of us but especially Vancouver and British Columbia – check out their site. By the way, if you live in Vancouver they have a Saturday morning market on the farm. I’d go if I lived in Vancouver! To see more photos of the event go here.